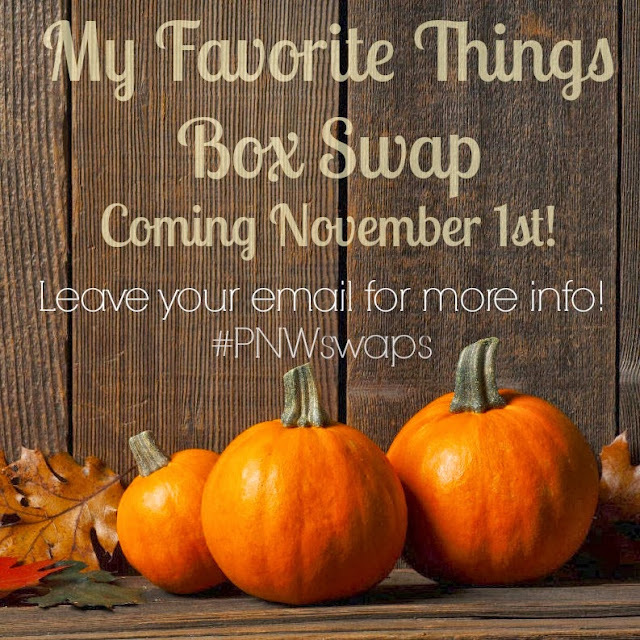 A brand new box swap is coming your way November 1st! If you're unfamiliar with a box swap, you are missing out! They are lots of fun! and fill a box with fun things for them! I've done several and have loved each and every one! and to receive a fun box full of thoughtful treasures. since it's always fun to meet more bloggers in the area. Boxes will go out by November 1st. For more info shoot me an email! Instagram here for upcoming swaps! This looks really fun. My friend does this a lot through Craftster and always has a lot of fun and has met some great people. This looks like a lot of fun. My friend does this a lot with her Craftster group and has a lot of fun. She's met some great people this way. I've coordinated swaps for years -- GREAT fun!